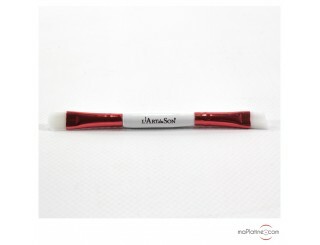 This L’Art du Son cleaning solution is made by the brand Loricraft. 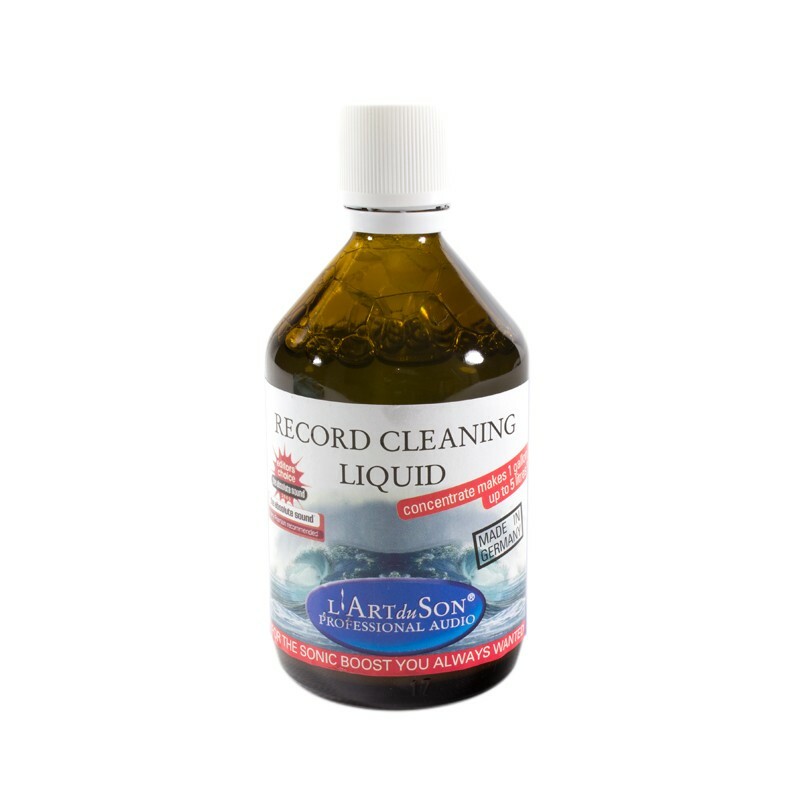 This product is very efficient with a vinyl record cleaning machine. It can however also be used with a manual cleaning machine or a microfibre brush. 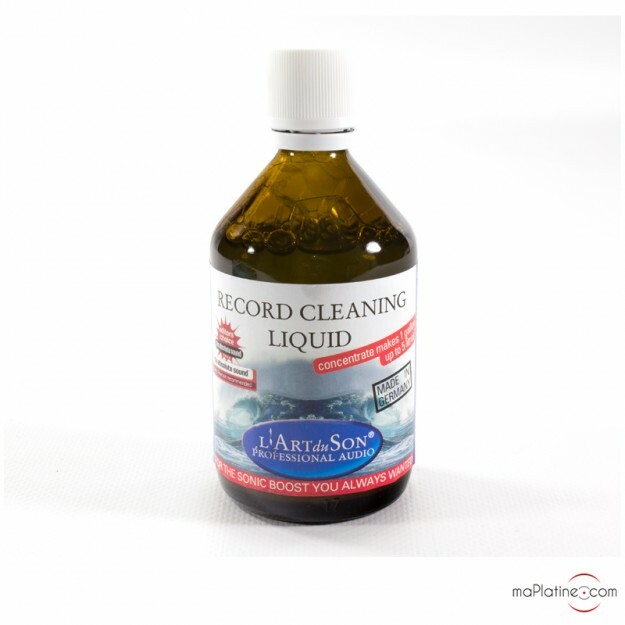 This vinyl record cleaning solution is delivered in a 100ml flask and as a concentrate. By adding distilled water, you can make 4 to 5 litters of cleaning fluid. 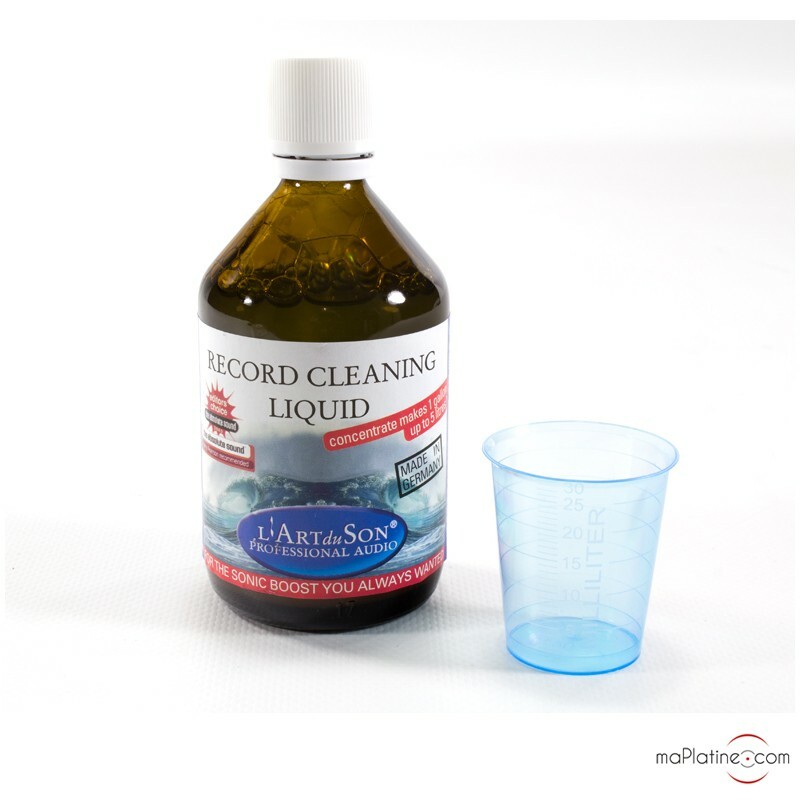 This L’Art du Son cleaning solution is shipped with a small measuring cup to perfectly measure out the product according to the amount of distilled water used. This vinyl record cleaning solution is alcohol free and can thus be used to clean 78 RPM vinyl records. It is made according to an eco-friendly, non-toxic, antistatic, and biodegradable formula. This cleaning product has a very economical use and is very efficient. It significantly reduces surface noises that result from impurities in the groove. This L’Art du Son product improves playback. The sound restitution are has more clarity and dynamics. Utilisation du produit avec mon Okki Nokki, et le resultat est totalement bluffant, suppression du bruit de fonds sur les vinyles, aide fortement à combattre l'électricité statique ... je me retrouve à redécouvrir certains de mes vinyles. Produit incontournable et indispensable.